I recently found out about Ombre from The CSI Project. That was this week's contest theme! If you are unfamiliar with Ombre, you can find the definition here. So, now I welcome you to the third Five Things Friday!!! I just love this Ombre Mug from Christine & Co! So fun! I adore this Grey Ruffles Ombre cake from Superfine Bakery! 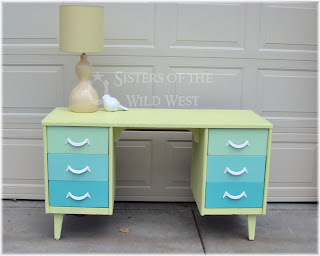 This gradient Anthropologie inspired desk from Sister of the Wild West is so cute! 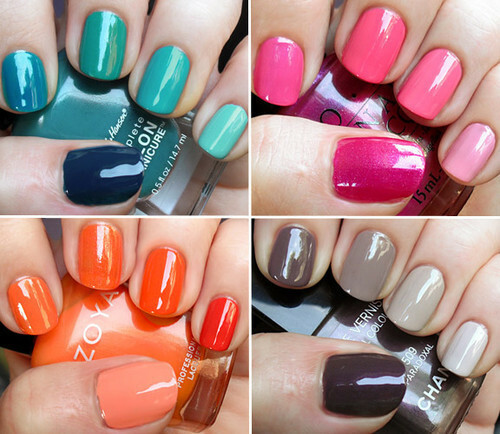 Ombre Nails are so cute and fun! This photo is fantastic and unique! Don't you love it? For more ombre, go here and here!